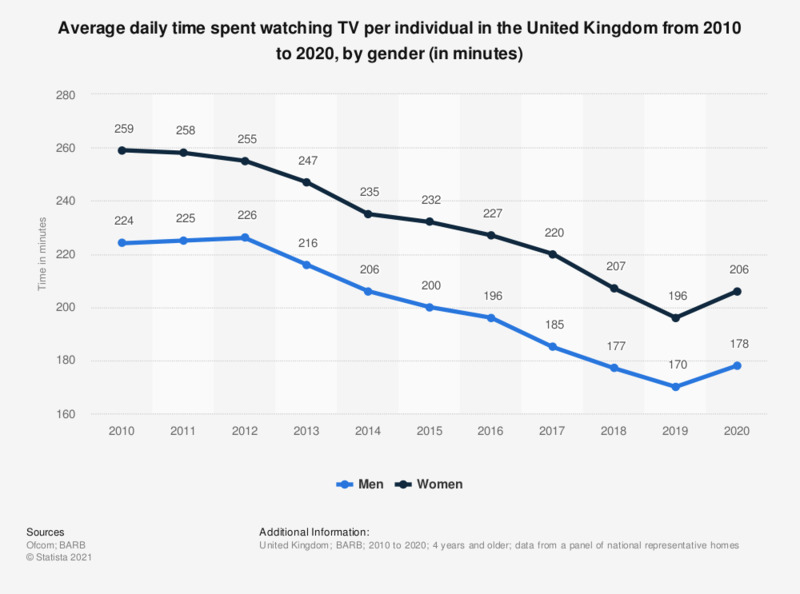 This statistic shows the average daily TV consumption time of individuals in the United Kingdom from 2010 to 2017, by gender. Women consumed 4.03 hours of TV daily and men consumed 3.41 hours of TV daily in the United Kingdom in 2017. * Viewing is in decimal form; i.e. 3.75 is equivalent to 3 hours and 45 minute. Everything On "Women and media in the United Kingdom (UK)" in One Document: Edited and Divided into Handy Chapters. Including Detailed References.